Welcome to Creative Lighting AV & Automation (Creative LAVA), the experts in lighting control, audio video systems, automation & control systems, and reliable Wi-Fi networks for residential and commercial systems. If you’re building your dream home or remodeling your current home, our staff is here to help you design and engineer your perfect system to fit your needs and budget. Full-time sales, installation & support team right here in Crested Butte. Our team is here to help Crested Butte & Gunnison home owners with their music systems, TV & home theaters, WIFI networking & Control4 Home Automation. With maintenance plans designed for your lifestyle, we can insure that your home automation & entertainment system is fully functional throughout the year before you or your guests arrive for the season. Our team of highly skilled system engineers, IT professionals and programmers are all in-house and here to deliver the quality, expertise and care you deserve. Latest hi-tech equipment Highest quality systems Fast response times Remote system monitoring On-site & off-site support Local & friendly staff With a long track record of successful system integrations for famous sports figures, doctors, attorneys, executives, TV celebrities and other wealthy families, you can rest assured that our team of professionals will hold your privacy to the highest levels. We are an international award winning full-service residential and commercial technology integrator. Our smart home solutions make your home safer, more fun, and elegant. Businesses experience increased productivity, enhanced environments for employees and customers, and simple control. Our CEDIA® certified team is comprised of world-class experts in every field whose number one priority is to provide the best products and services to our clients. Contact us today to get started building the system you need and want! Stratus Group is a boutique technology design, consulting and management firm specializing in luxury living environments. As an unbiased design firm we remain unmotivated by sales or profit margin. Drawing from a pallet of boundless possibility, we design the best solutions to specifically complement each client’s unique lifestyle. Our management process assures the design vision is executed as planned. We assemble and coordinate the most qualified installation companies for each discipline and assure the highest standards of workmanship are achieved through every phase of the project while staying on schedule and within budget. At completion, we meticulously review and test every component and function before the project is turned over to the client. We stand behind every design and offer priority support solutions. Founders Justin Rounsefell and Travis Beery share over 30 years of elite-level technology integration experience - designing, coordinating, and implementing luxury home technology systems around the world. We have collaborated with nationally recognized architects, designers, and builders to deliver numerous award-winning projects. Aspen's Very Best in Home Electronics Founded in 2001, Mackie Electronics Systems is the leader in home technology from house audio and video, to lighting and climate control, internet, security cameras, phone systems and home theaters. Daryl Mackie and his team of dedicated professionals is focused on the highest levels of precision electronics installation. Mackie Electronic Systems is a small team of dedicated professionals skilled in all facets of contemporary home electronics design, installation and integration. 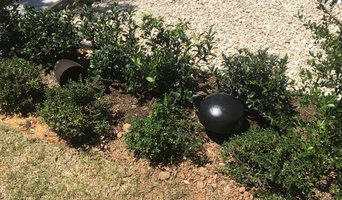 We continually exceed client expectations by delivering simple and intuitive products that blend seamlessly with décor. We are different. We listen, we do what we say we'll do. We also understand that everyone isn't a technical expert, so we make things simple and easy to use. We believe in customer service. We also believe in customer education. We know that a happy customer is a repeat customer, and our vast number of repeat customers prove exactly how securely we stand behind our word. 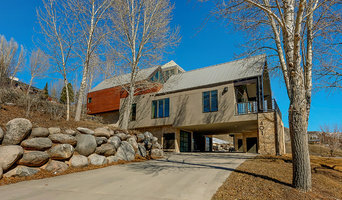 Custom Audio Video was established in 1986 with the mission to deliver high performance audio and video residential systems to homes in Vail, Beaver Creek and the surrounding area in a way that it hadn’t been done before. Our goal was to design reliable, unobtrusive, easy to operate systems with an elegant design. We continue that mission, constantly educating ourselves to best serve our clients. Technological advances have allowed us to expand our products and services to other technologies including climate control, lighting, security, telephone systems and advanced residential network design and configuration. Custom is the word that sums us up. We listen to our clients and design systems to fit their needs. We educate them about the available technologies that will make sense for their home. We work closely with interior designers, cabinet makers, and other sub-contractors to assure a fully integrated, attractive, system that is intuitively easy to use. We are there when we have completed the project to review the operation of the system with our clients to assure they are comfortable with operating the system. 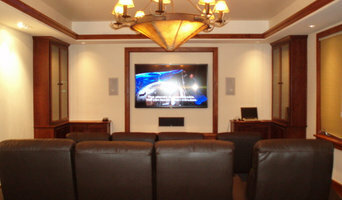 Our Mission is to provide sight and sound systems that enhance the lives of our clients. We design a system that is right for your individual needs. We pride ourselves on going the extra mile to engineer synergistic systems that are easy to use and can be enjoyed by the whole family. Technology does not have to be frustrating. Come feel the emotion of movies and musical performances. There is a difference!!! 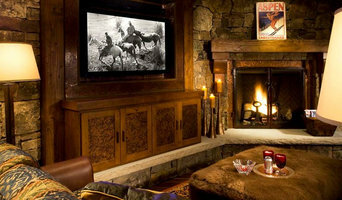 The Sound Room is located in the heart of the Rocky Mountains in Frisco Colorado. Our 3000 square foot showroom / design center houses 5 show rooms, a warehouse facility, repair center and offices. We have been committed to providing personal service to clients since 1989. We are a family owned business and are personally involved in the day to day operation of the company. You can see our passion in all The Sound Room provides. Powerhouse Engineering Partners provides in depth system engineering, detailed design documentation and professional construction management for the continually expanding technology related systems that have become permanent fixtures in our modern homes. At Hi-Tech Options we pride ourselves on the ability to specialize in a wide range of services to meet your needs from data integration to smart home installations. An integrated system is characterized by combining elements from different sub-systems to function together as one. Mastering both high and low voltage systems gives us a broader range of capabilities making Alpine Custom Electronics your complete source for total systems integration, custom electronics and much more. We offer a unique combination of complete CE Professional services including, structured wiring, smart automation, energy management and monitoring systems, audio-visual systems, lighting and window shade controls, security cameras, pool/spa controls, and more. Our goal is to simplify and create an outstanding experience that allows you to easily enjoy your living environment to the fullest, for many years to come. Our services are varied and offer something for everyone. We recognize the special care and attention to detail needed when building a new home or renovating an existing one. We have assembled the rare combination of Systems Designers, Project Managers, Programmers, and Certified Installers that can provide creative designs, systems integration and give you master control of your home from anywhere. Find a home media designer on Houzz. Narrow your search in the Professionals section of the website to Crested Butte, CO home media designers. You can also look through Crested Butte, CO photos by style to find a room you like, then contact the professional who designed it.